The main challenge with this book is wading through the opaque philosophical style in which it is written. Laclau & Mouffe do however make some interesting points. At it’s core the book seems to be a rejection of a mechanical and deterministic versions of Marxism. The emphasis is on the development of the concept of ‘hegemony’, and the first part of the book traces its use through thinkers from Luxemburg to Lenin to Gramsci. Laclau and Mouffe seek to develop the concept further into something which can be used to underpin a modern approach to politics. The key point is that society is not structured in monolithic economic classes whose existence determines how ‘superstructural’ elements are constructed. On one level this seems sensible. It is common sense that political action is built on coalitions, and that any successful revolution will be the same. That an economic ‘base’ does not mechanically determine a social ‘superstructure’ is surely obvious and I think Laclau and Mouffe are wrong however not to see this already in Marx. There is a divide between his theoretical work, in which her operates at a high level of abstraction to make the underlying ‘laws of motion’ clear. Conversely in his political work such as “The Civil War in France” and “The Eighteenth Brumaire of Louis Bonaparte” Marx uses his theory for more practical analysis. In theory, Marx presents society as containing just two classes to simplify the analysis. In practice he understands that it is more complicated than that. In fact, developing this theory of hegemony leads the authors to remove the class based element from their analysis almost completely. And that doesn’t seem correct either. They make what seems to me to be a theoretical justification for the ‘third way’ approach and identity politics. What they propose is that people fit into society through a range of different and often conflicting identities which are not determined by economic class, and that this complexity is growing in modern capitalism. The role then of progressive politics – in the absence of an apriori class conflict which has been removed from the analysis – is to stitch together “coalitions of the willing”. In pursuit of what goal, if the liberation of the oppressed class cannot be the goal, it is not clear. I say ‘seems to’ though because the mode or expression is very challenging indeed. I’m sure this seems reasonable to the authors but it does not help with deciphering what it is the they are trying to say. In short, this is a book with a lot of value in thinking about what sort of progressive alliances are likely to be necessary if the left is to be successful under modern capitalist conditions. But hamstrung by removing the theoretical underpinning provided by Marx and the analysis of how the ‘laws of motion’ of the economy interact with society to constrain what it is possible to achieve. In the absence of this underpinning it becomes unclear what the goal of progressive politics is, and ends up being a justification for the ‘third way’ approach of Clinton and Blair. This entry was posted in Reviews and tagged Marxism, Politics, Review, Structuralism on February 8, 2018 by 4harrisons. I wrote recently about some basic elements of the ‘structuralist’ Marxism of Louis Althusser and Etienne Balibar. The historian EP Thompson wrote a superb polemic against this strand of thinking published with other essays in the book “The Poverty of Theory” published in 1978 (a title which references Marx’s polemic against Proudhon “The Poverty of Philosophy”). In this post I will try to capture some of the key points raised by Thompson. What comes across most strongly from Thompson’s argument is that he is an empirical historian. For him Marx provides a set of analytical tools, a method to interrogate history. He therefore wholeheartedly rejects Althusser’s criticisms of both empiricism and historicism. For Althusser it seems Marxism is a predefined set of structures to which history must be made to fit. This makes no sense to Thompson the professional historian, whose Marxism is part of his professional toolkit with which to interrogate the world. In particular this imposition of a structured mode of production as the determining factor can only be brought from outside the human experience of history. In this sense, what the structuralist approach to Marxism has done is to create something that is idealist in nature. It depends on imposing a process developed entirely within thought to the analysis of history. For Thompson the dominant or determining structure of Althusser is rigid and mechanical. Everything is made to fit within a pre-determined structure. A strait jacket or orrery which in practice operates as a limit on the analysis of actual historical events, and therefore a hindrance. Humans end up excluded from their own history which is determined in thought by the dominant structure before it is acted or written. It is here that Thompson makes a link to Stalinism, which also placed limits around what it was possible or permissible to think. While claiming to be high philosophy, Althusser’s approach is similarly dogmatic. Structuralist Marxism is a means for looking down at history from above and channeling thought, rather than for broad and open exploration. Human agency is important, we do make our own history. But we are not Robinson Crusoe. We operate within and are constrained by the society and economy of our times. I do find that the structuralist approach to Marxism defined by Althusser and Balibar attractive. It works through in an extreme form the sort of thought process which does form a valid part of Marxism. But most of Thompson’s criticism is valid. Marxism is not a mechanical science, but a way of approaching analysis – something which becomes clear in Marx’s own work such as the Class Struggles in France and the Eighteenth Brumaire of Louis Bonaparte. 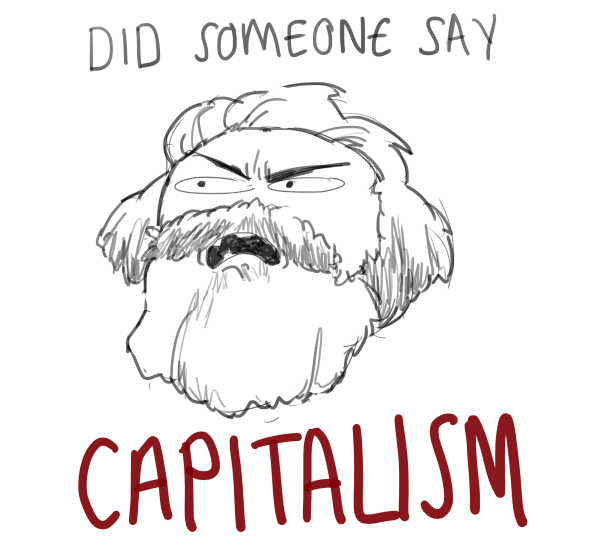 This entry was posted in Marxism and tagged Marx, Philosophy, Structuralism on January 5, 2016 by 4harrisons. Recently I’ve been working through texts on structuralist Marxism, starting with “Reading Capital” by Louis Althusser and Etienne Balibar followed by The Poverty of Theory (EP Thompson’s superb polemic against Althusser) and the sections on Althusser in Western Marxism A Critical Reader. This post will capture some of the key points from this strand of Marxism, and I’ll follow up with a separate post to cover my reading of EP Thompson’s criticisms. The first point is that Althusser considers Marx to have created a new science, that of dialectical materialism. There is an ‘epistemological break’ in his thought between early and later writings where Marx throws off the remnants of idealism and defines this new science. This approach conditions Althusser’s thought on Marx and means that he is often searching for the ‘real’ Marx, and disregards work in which he detects Hegelian or other idealist remnants. Within this science is the theory of history, or historical materialism. This is built around structured modes of production, each period defined by it’s mode of production which in turn is founded upon both the material forces of production and the social relations of production. Economy and society is an integrated and articulated structure. Each part both determines and is determined by the whole, something which Althusser refers to as ‘overdetermination’. This dominant structure defines the ‘problematic’ of the period. And it is this problematic which controls the intellectual thought of the period. Practitioners remain trapped within the dominant structure which determines what it is possible to either ‘see’ or think. It is this sense of a structure which dictates what questions it is possible to ask which makes Althusser’s structuralism (remarkably) similar to Thomas S. Kuhn’s Structure of Scientific Revolutions and it’s concept of ‘paradigms’ in scientific thought. This process is driven by Althusser’s theory of knowledge production. No fact is simply ‘given’. Everything considered fact is in truth produced through a process beginning with ‘raw material’ is assembled – not reality as such but those items conditioned by the existing structure – to which a scientific method is applied producing a concrete knowledge in thought. As a result Althusser argues strongly against both empiricism and historicism, which he contests both proceed from given ‘facts’ rather than going through this process of knowledge production. Basing analysis on the readily available ‘facts’ of an era will simply see the world through the blinkers of the then existing mode of production. The structure itself is then invisible. It is in this way that orthodox economics views the categories of capitalism as universally applicable. This creates a specific role for the Marxist intellectual alongside the workers’ movement itself, and means that true Marxist consciousness is brought to the workers from outside the native movement. This ‘structuralist’ Marxism was influenced by developments in both sociology and psychology and has been very influential on intellectual Marxism since the sixties. It was strongly criticised by EP Thompson in his essay ‘The Poverty of Theory’ which I’ll cover in my next blog. This entry was posted in Uncategorized and tagged Marxism, Structuralism on December 29, 2015 by 4harrisons. Following on from my recent post about Etienne Balibar’s structural approach to Marx, I wanted to add some more thoughts about the transition between modes of production which Balibar covers in the last chapter of “Reading Capital“. Balibar places the driver for change in the gap between ‘real’ subsumption and ‘formal’ subsumption, between the forces of production and the relations of production which (ought to) go with them. This is plausible, but without any sense of class struggle or actual revolutionary practice it feels like the engine of change is missing. This contradiction – between forces and relations of production – could be seen as one of the contradictions driving change. However Balibar locates contradiction within the structure of a mode of production. Surely this leaves us facing a state tending towards equilibrium. If the structure contains both the tendency of the rate of profit to fall (among other ‘destructive’ tendencies) as well as the countervailing forces in the way outlined by Balibar then it must be able to continue to operate with these contradictions in place. Presumably it could be argued that this creates a situation that is fundamentally unstable (essentially this might be thought of as similar to the proposition advanced by David Harvey in ‘Seventeen Contradictions and the End of Capitalism‘). I am not convinced that this is how Balibar presents the case. Rather he outlines a mode of production in almost abstract structural form, deliberately devoid of any ’empiricist’ link to reality to maintain it’s ‘pure’ form. In essence the end result leaves any move from one mode of production to another entirely contingent. And perhaps the real challenge to Marxist thinking is that history might have demonstrated this fundamental stability to be ‘true’. The history of capitalism tells us that it can survive chronic instability and major crises and reinvent itself while remaining within the same basic mode of production. This entry was posted in Uncategorized and tagged Marxism, Structuralism on November 10, 2015 by 4harrisons. In Etienne Balibar’s section of “Reading Capital” there is an interesting section on the transition between different modes of production within the Marxist view of history. Any given period in history can then be defined in concept by the structure that these elements form in combination to create a specific mode of production. Note however that this is as a concept rather than as a linear sequence described empirically. In principle this though process could be used to define not just historically existing modes of production but also to outline all possible modes of production, including those which have not (yet) been seen in history. Balibar subsequently outlines the mechanism for transforming one mode of production into another. For this he uses the term ‘displacement’. By this he means that there is not necessarily a smooth linear evolution between one mode and another. As an example he uses the movement from handicrafts to manufacture to mechanisation. While there is a recognisable progression from handicrafts to manufacture, the process of production remaining much the same but being reorganised to create more surplus value, there is no such transition to mechanised production. The old process is instead displaced by the new. The machines do not re-create the human process, but instead create a new and more efficient process to which the human labourers must now conform. This is a very ‘structural’ view of historical change. It delivers a clear focus on how the different elements of a specific period of history might interact. For example how parts of the ‘superstructure’ might be driven by the overarching structure of society – driven by the mode of production – without being directly determined by the ‘economic base’. This makes it a reasonable alternative to ‘vulgar’ economic determinism. It is however a very static alternative. It is the dynamism and sense of motion that Marx gives to thinking about history which is what makes his work so interesting. Balibar (and Althusser) in seeking to focus on structure have lost sight of that structure’s articulated nature, that it is in perpetual motion. This entry was posted in Uncategorized and tagged Marxism, Structuralism on November 7, 2015 by 4harrisons. To date I haven’t read much of Althusser, although I remember his work being covered briefly during my university course. The latest issue of the journal Historical Materialism however opens with an article on Althusser, structure, and conjuncture by Panagiotis Sotiris. He also gets a mention in Absolute Recoil by Slavoj Zizek which I’m current reading. Althusser doesn’t receive much attention in Kolakowski’s Main Currents of Marxism either, other than a brief note in the final chapter which is dismissive of structuralism and of Athusser’s use of it as an analytical tool. The first point I want to bring out from the article by Panagiotis Sotiris is about the importance of specific historical configurations. In other words general historical tendencies exist only in concrete historical situations. The appropriate course of action can only be approached through the actual situation. It is not possible to ‘standardise’ a revolutionary party. This is an important counter to ‘scientific’ historical materialism derived from Engels and subsequent thinkers. It also makes me think of the structure of Capital volume 1, which moves smoothly from abstract theory to specific historical analysis and back again. Marx clearly understood this point, but it often feels like it is missed by both other Marxist thinkers and later critics of Marx. The second point I wanted to record is about the nature of structure. Sotiris does not see Althusser as taking what might be called a deterministic approach to structure. Structure plays a key role in how a society operates. This process may be driven by economic fundamentals but the interaction is complicated – certainly more complicated than Marx occasionally made it out to be for didactic reasons – and I read Sotiris explanation of Althusser’s thought as demonstrating that Althusser understood this, and that structuralism provides a useful frame of reference for thinking about it. The mode of production and the structure of society interact with each other, influenced by the concrete historical situation. (Marx understood this too I believe, but often simplifies his argument to make a point stand out and is misread as a result). Analysing how society is structured allows us to see this interaction more clearly, particularly as it helps us see not just those elements which are visible but also makes us seek the elements which are not. It is important to make clear though that this does not mean that there is a ‘latent’ hidden layer within the structure of society which determines the course of events in a static a-historical way. Rather both visible and invisible form part of the same layer interacting with the mode of production. As described by Sotiris, this feels quite compatible with a Gramsci’s depiction of hegemony. I agree with Sotiris that here lies the challenge for radical Marxist thought, particularly nearly a century after the Russian Revolution. How to create a radical analysis of society and history whilst acknowledging complexity and chance but without resorting to simple empiricism. This entry was posted in Uncategorized and tagged Marx, Philosophy, Structuralism on December 29, 2014 by 4harrisons.